Following the UAE Space Agencys signing of a Memorandum of Understanding (MoU) with the Government of the Grand Duchy of Luxembourg in 2017, a one-day workshop involving both parties was held on December 5, 2018 in Abu Dhabi. The workshop strengthened ties between the two parties and involved the exchange of information on each partys capabilities in order to define further areas of collaboration and cooperation in space science projects, research and exploration. Leaders and senior officials from the UAE Space Agency, Luxembourg Ministry of Economy, and the Space Industry attended the workshop. Key attendees included His Excellency Dr. Eng. Mohammed Al Ahbabi, Director General of the UAE Space Agency; Dr. Mohammed Al Junaibi, Executive Director of the Space Sector; Eng. 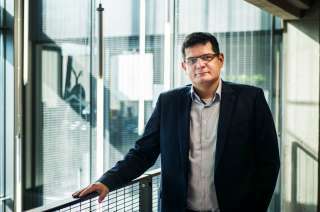 Khaled Al Hashmi, Director of Space Mission; Eng. Naser Al Rashedi, Director of Space Policies and Regulations; Eng. Naser Al Hammadi, Head of International Organizations and Relations; Her Excellency Elisabeth Cardoso, Luxembourg Ambassador to the UAE; Mr. Mario Grotz, Director General for Research, Intellectual Property and New Technologies at the Ministry of the Economy; Dr. Marc Serres, the Chief Executive Officer of the Luxembourg Space Agency and Dr. Mathias Link, Director for International Affairs and SpaceResources.lu. The workshop kicked off with representatives of the UAE Space Agency and Luxembourg sharing their thoughts on space science, research, and technology in the UAE and Luxembourg. The two parties presented overviews of their policies and projects, along with their planned scientific and technical cooperation on projects of mutual interest. Representatives from both sides also proposed strengthening strategic cooperation in governance and investment in the space sector. 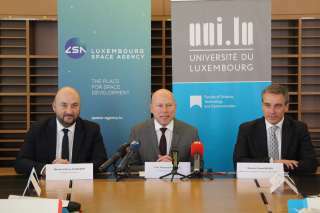 The workshop demonstrated the ongoing cooperation between the UAE Space Agency and Luxembourg in exploring future opportunities for the development of joint space projects. Moreover, representatives from key space companies in the UAE and Luxembourg showcased their projects, highlighting the benefits and economic contribution of the space industry. 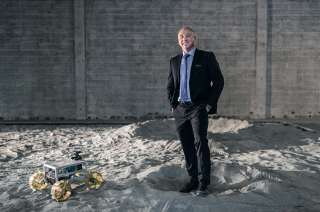 Establishing and maintaining close relationships with global leaders in the space industry is crucial for bringing about new ideas for further space exploration opportunities. Signing a Memorandum of Understanding with the Government of the Grand Duchy of Luxembourg is part of our strategic goals to develop our close ties with Luxembourg and raise the profile of the space sector both in the UAE and in Luxembourg.